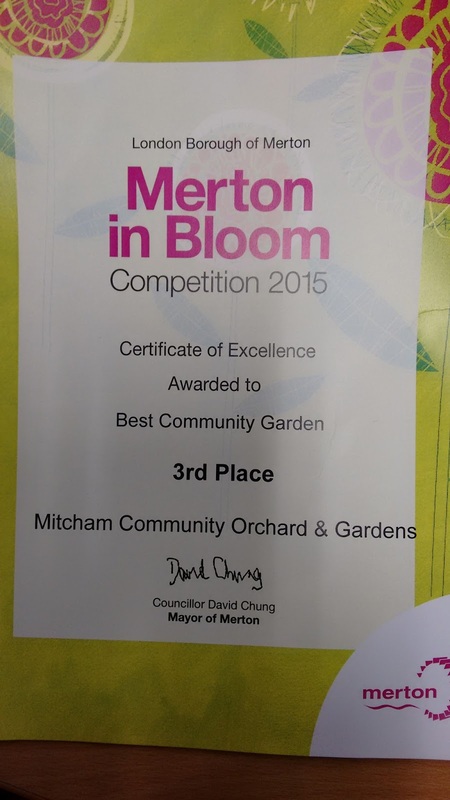 The National Clean Britain Community Award for 2015 has been awarded to Mitcham Community Orchard and Gardens. 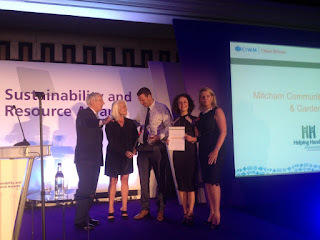 The Chartered Institute of Waste Management (CIWM) annual Clean Britain Awards recognise and reward the achievements and contribution of Local Authority street scene teams and community volunteers in maintaining public places and spaces. The award was presented at the CIWM's prestigious 'Sustainability and Resource Awards' on 5 November 2015. 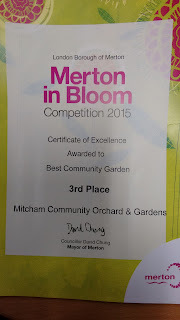 - Charlotte for the Twitter feed - visit @orchardmitcham for Orchard updates. Entries were judged on horticultural achievement, environmental responsibility and community participation. The winners were decided by members of local allotment and horticultural societies. Thanks to all our volunteers and business supporters to date for making this happen since the Gardens began being developed in April of this year.